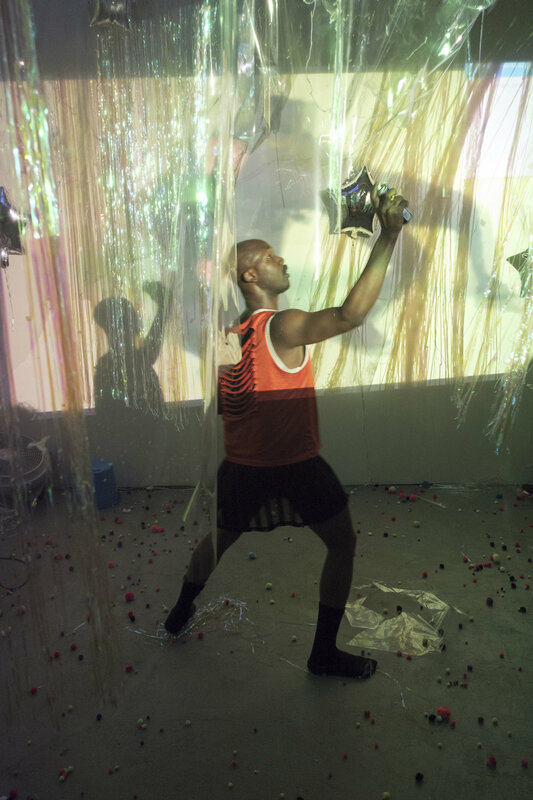 AZTROsent: is an inflective adaptation of sent, an experimental sound, song and dance installation originally created by @domsentfrommars premiering in Brooklyn NY 4/20/2017. 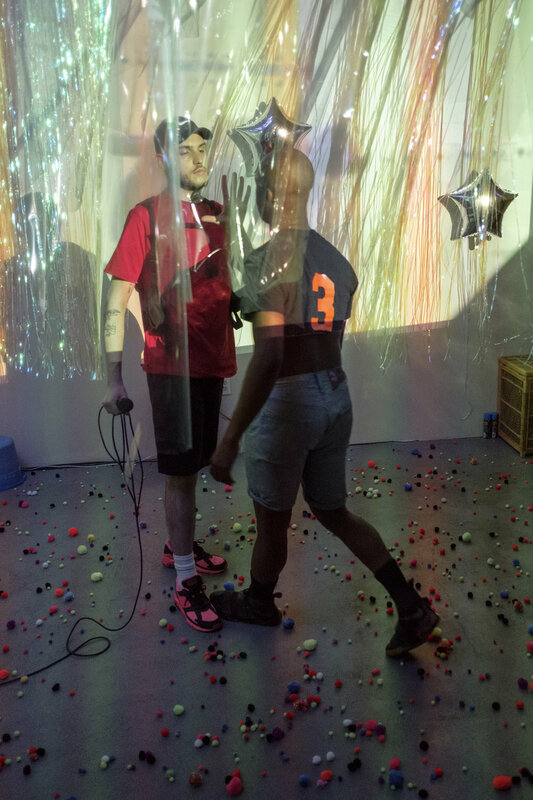 The work also draws from Masc4ask an originally created performance opening for TNMOT AZTRO in Philadelphia at VOX Populi June 22-24TH 2017, also created by domsentfrommars.This work is an prelude to our combined work entitled “Lovepiece”. The Integrations between physical acts of queerness and their metaphorical meanings uplifts queerness to a place where everyone has to digest what they feel internally as well as externally. By not focusing on the individual queer struggle but the embodiment of many queer human emotions towards the queer struggle we highlight /amplify queer identities showcasing the immense amount of secrets the queer culture has had to hold within its body.